Something surprising happens… Shocking, really. Something you probably don’t know about being a woman entrepreneur. Here it is…. You can spend a lot of money on marketing to make more money but your mindset will only allow you to go so far before you start sabotaging your own efforts. Self-doubt sets in. Low self-confidence rears its ugly head. You wonder why anyone would want to hire you. You keep hearing you must put yourself out there… YIKES! Fear takes over leaving you feeling overwhelmed, frustrated and your business starts sputtering. "Income rarely exceeds personal development." Who’s got time to work on their mindset? Trust me I’ve been there. I worked my tail off for decades only to experience very slow changes and growth. The ACE Success System was developed for the unique issues and challenges women business owners like you face in your life and your business. The value you bring to the world utilizing your gifts, talents and skills to help others simply by expressing your true self… your True ME… Your Magical Essence. The seven step method of the ACE Success System was developed around an ancient success legend and universal success laws. The ACE Success System is used in my MEntoring, workshops and programs. 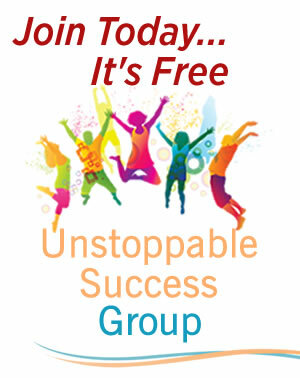 Discover more about this amazing system in the "From Stuck to Unstoppable: Unleash Your Potential in 30 Days" workshop. "In my work as a consultant I hated the process of getting clients. I tried different systems with no real success. I felt something greater was out there for me, but held back from exploring and getting out there due to my fears of rejection and failure. After participating in Ann's ACE Your Way to Success program I'm much more clear about what I want my life and business to become. I see the value I bring and my talents in a more focused, objective way. I'm ready to share my gifts and help more people improve. I recommend this program to any woman whose struggled with these challenges and is ready to break through."